Are you an aspiring marketer trying to grow your business with WordPress? Digital marketing is so broad that it takes a lot to master in it. It has a wide range of components and channels like email, analytics, SEO, content, advertisement, etc. and each has its own strategies and techniques. However, the right set of marketing plugins and tools can help you do the job easily and effectively. In this article, we’ve put together a list of the best WordPress plugins and tools for marketers in 2018. Google Analytics is one of the most popular marketing tools widely-used by professionals as well as beginners. It helps you understand exactly how users find and use your website so you can make informed marketing decisions. In WordPress, MonsterInsights helps you use Google Analytics like a pro and grow your business with confidence. It allows you to set up Google Analytics in WordPress easily and provides you with detailed reports on your website traffic and their interactions with your site. With MonsterInsights, you can set up advanced tracking like eCommerce, forms, ads, custom dimensions, etc. with ease. And, you can see all the analytics reports within your WordPress dashboard. OptinMonster is the best lead generation software available on the market. It helps you to convert your website traffic into leads and boost your conversions and sales. With OptinMonster, you can create beautiful email optin forms and display them strategically on your site. You can create different types of campaigns including lightbox popups, inline forms, sidebar forms, etc. and use smart triggers to display them on your site to the right people. OptinMonster’s signature Exit-Intent technology helps you convert abandoning visitors into subscribers and customers. Other triggers, like scroll trigger, MonsterLinks 2-step optins, InactivitySensor, etc. are also very effective. OptinMonster is nothing less than a phenomenal email marketing tool. One of the most common strategies used by successful marketers is creating connections with customers. And, WPForms is the right tool for that. It’s a powerful WordPress forms plugin that allows you to create simple contact forms as well as advanced forms like order forms, payment forms, donation forms, survey forms, and polls. WPForms is a simple and user-friendly plugin anyone can use without touching any code. You can find pre-built form templates to quickly start making forms. Plus, it features an intuitive drag and drop form builder. Then, you can embed the forms easily in blog posts, pages, sidebar widgets, footer areas, etc. easily. WPForms is a great form maker plugin and marketing tool for WordPress. Affiliate marketing is popular marketing technique nowadays that creates a win-win situation for companies as well as affiliate marketers. It’s the process of promoting affiliate products and services via your channels and, in turn, getting a certain percent commission for each sale through your referral. ThirstyAffiliates is the best plugin for affiliate marketers using WordPress. It helps you to add affiliate links, cloak, and properly organize them. The affiliate cloaking feature allows you to turn long, complicated affiliate links into pretty, simple links. ThirstyAffiliates plugin makes it easy to organize your affiliate links with categories, like WordPress categories. Plus, you can easily add the links into blog posts across your website. SEO is yet another important aspect of digital marketing. As Google gets the most internet traffic, you can get the most organic traffic if your site gets better ranking in search results. Yoast SEO is the best WordPress SEO plugin available. It helps you to make your entire website’s content SEO-friendly. It analyses your blog content and provides an SEO score, and also provides you with suggestions how to make improvements. Furthermore, it takes care of the technical stuff like robots.txt, permalink URLS, sitemaps, etc. and is constantly updated with Google’s latest algorithms. SEMRush is an amazing marketing tool that helps you with SEO, social media, content, and paid marketing. 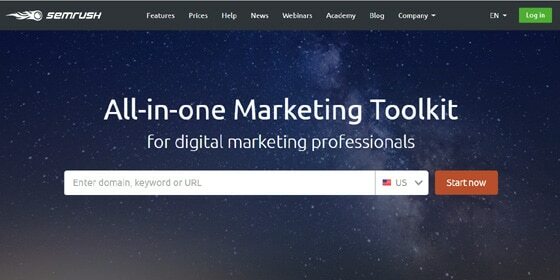 It’s an all-in-one marketing tool for digital marketing professionals. With SEMrush, you can view analytics reports on your site as well as your competitors’ websites. You can do organic research and find out your competitors’ best keywords and their overall marketing strategies. Plus, you can find out backlinks, advertising techniques, etc. and build better strategies for your site. In addition, it has several features like site audit, brand monitoring, social media poster, social media tracker, organic traffic insights, content analyzer, etc. SEMrush empowers anyone to do marketing like a pro. Advertising is the direct approach to marketing. Marketers in the literal sense are the people who market products and services to convince people to buy them. And, if you want to advertise your own products or affiliate products, you’ll need a good plugin to manage them. That’s where AdSanity comes handy. 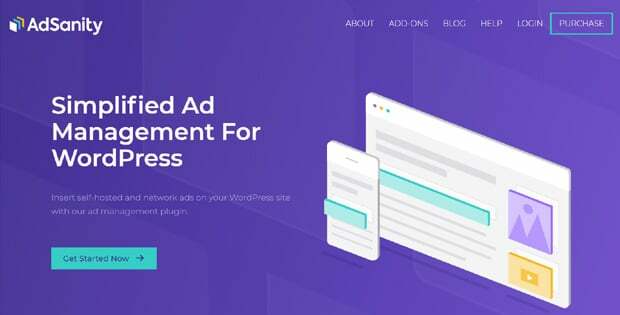 It’s the best WordPress ad management plugin as it lets you to manage ads on your WordPress site in a beautiful way. Using this plugin, you can easily create and add ads on your site. You can publish date-based or infinite ads with widgets, shortcodes, and template tags anywhere on your site. It allows you to add network ads like Google Adsense as well as banner ads directly onto your site. Emails are very important for digital marketing. So, failure of email deliverability can cause you a huge loss. But you’re not alone: WP Mail SMTP is here to help you. It’s a very useful free WordPress plugin that fixes your email deliverability by reconfiguring the wp_mail() PHP function to use a proper SMTP provider. While WordPress sites, by default, use a PHP mail function to send emails, most of the WordPress hosting providers aren’t well-configured for that which, in turn, create issues with deliverability. So, the plugin helps you solve the issue by reconfiguring the ma_mail() function to use a trusted SMTP provider. SMTP is the industry standard for sending emails. MailChimp is one of the most popular email marketing services available on the market. It allows you to create attractive email newsletters and send them to your subscribers. Now, using MailChimp with your WordPress site has become easier with their plugin, MailChimp for WordPress. The plugin helps you to connect your MailChimp account with your WordPress site in just a few steps. You can create beautiful email signup forms to collect leads using this plugin. Then, you can build newsletters and send them out to your subscribers. The plugin integrates well with all the other WordPress forms created using other plugins. So, you can add a 1-click subscription box with your comments or WooCommerce checkout forms. Social media marketing is a comparatively new component in the digital marketing world, but it’s a very effective one. It’s a way of engaging the huge social media audience with your marketing content. Revive Old Post is an incredible plugin for social media marketing. The plugin helps you engage people on social media with your old WordPress posts. You can automatically share your old WordPress articles using this plugin and drive traffic to your site. The plugin allows you to choose the time between posts and the number of posts to share to make it organized. Plus, you can use hashtags to focus topics. Google XML Sitemaps is one of the most loved free WordPress plugins in the official WordPress plugin repository. It’s a great WordPress SEO plugin that helps to improve SEO by creating XML sitemaps. XML sitemaps helps search engines better index your site as they allow the search engine crawlers to see the complete structure of your site. Thus, this helps your website get better rankings in search results. In addition, it notifies all the major search engines like Google, Bing, Yahoo, Ask.com, etc. each time you publish new content. It’s simple and easy to use. Social sharing buttons are must-have elements for blog posts to reach out a larger audience on social media. While most of the social share plugins slow down websites, Shared Counts’ free plugin comes to your aid without compromising speed. Shared Counts is a high-performance social share and counter plugin that helps you to add social share buttons on your blog posts and displays the share counts. The plugin uses creative caching methods that make it super-fast every time, even on high-traffic websites. Inline Related Posts plugin helps you enhance user engagement on your WordPress posts by displaying related content inside your articles. Most websites show related content after the end of articles due to which users need to scroll down the whole article to see the related content. But people can exit your post anywhere in-between if they don’t find it useful. So, the plugin can help you to keep your visitors on site by displaying related posts. If they see a related content more useful, they can switch to that post instead of leaving your site. This technique is especially useful for long articles. This is a very simple-yet-interesting marketing strategy which can improve use engagement on your WordPress blogs. Just as its name says, Broken Link Checker is a plugin that monitors your site for broken links and missing images. If it detects any broken links or missing images, it immediately notifies you so you can instantly fix them. Furthermore, it can make broken links display differently in posts and prevent search engines from following such links. Thus, the plugin saves you from negative SEO rankings. Frequently asked questions (FAQs) are widely-used on websites to answer common questions. By adding FAQ section on your site, you can solve a number of queries your site visitors want to ask without having to manually reply to each visitor. Quick and Easy FAQs is a free WordPress plugin that makes it easy to create beautiful FAQs in WordPress. You can display the FAQs in different styles like simple list style, toggle style, filterable toggle, etc. In short, this plugin helps you to improve communication and increase your conversions. We hope this article helped you find the best WordPress plugins and tools for marketers. You may also want to check out our list of 22 must-have WordPress plugins for business sites.